Playwright/Actress Tatyana Gelfond’s evening of women and their innermost secrets. Maureen will read, and Adam will join her for one set of FLUTTERBIES unplugged. between sets and there will be some amazing dancers from all over L.A.! Plus, come get crazy with our gorgeous Merch Gal & Dancer Angie! All Ages – No Cover – 3 Hours Free Parking! You do not need a Disney pass to attend! Thanks for all your love & support with our musical adventures! 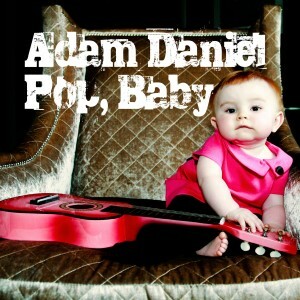 Please visit Adam Daniel to hear POP, BABY – our own Power Pop Icon’s newest release! And yeah, that’s Adam’s own little Layla as the cover girl…. This entry was posted on Friday, August 23rd, 2013 at 9:15 AM	and is filed under Uncategorized. You can follow any responses to this entry through the RSS 2.0 feed. You can leave a response, or trackback from your own site.